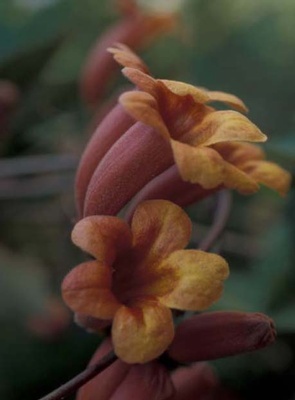 A woody vine with large trumpet-shaped flowers that are dull red or orange on the outside and yellow or red inside. 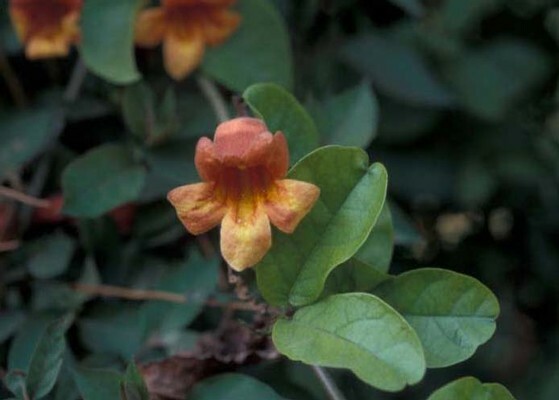 Crossvine may climb to a height of 20 to 40 feet or may trail along the ground where no support is present. 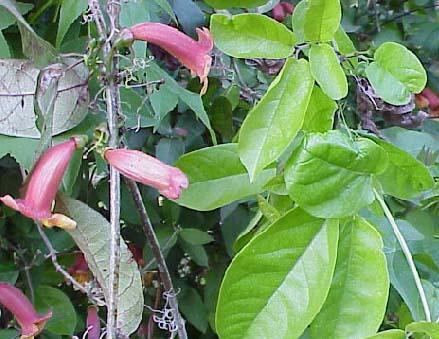 Crossvine occurs primarily in woods, fence rows, and roadsides in the piedmont and coastal plain regions of the southeastern United States. Leaves occur on petioles and consist of 7 to 11 leaflets that are ovate to lanceolate in outline, approximately 1 1/2 to 3 inches long. Leaflets are without hairs. Stems become woody and are usually climbing, reaching 20 to 40 feet in height. Stems climb by way of tendrils. 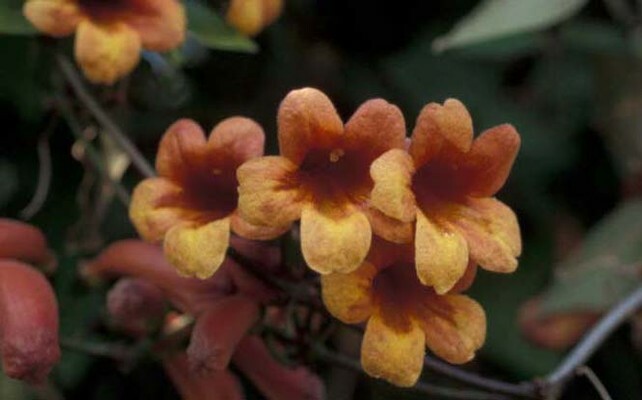 Flowers occur in clusters of 2 to 5. Individual flowers are approximately 2 inches in length and are dull red to orange on the outside and yellow or red on the inside. A flattened capsule that is approximately 6 inches long and 1 inch wide. Each capsule contains several rows of winged seed. 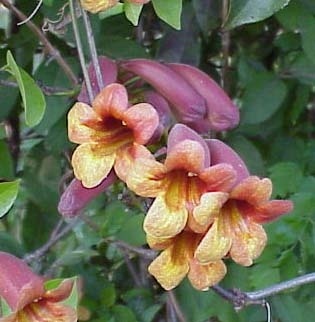 A woody vine that climbs via tendrils and has trumpet-shaped flowers that are dull-red on the outside and yellow on the inside. 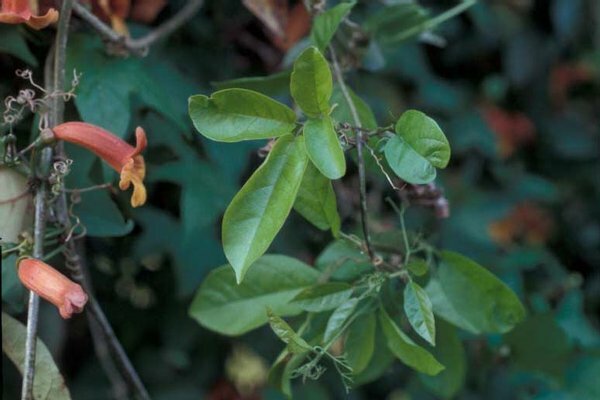 Trumpetcreeper (Campsis radicans) is somewhat similar in appearance and growth habit, but has toothed leaves and flowers that bright orange or red throughout.